studio smc photography | Sandra Costello: Winner! 1. I am the oldest of five kids. 2. I have a very sweet but devilish beagle named Ruthie. 4. I will be 40 this summer. Yikes! 5. I am loved by and married to the greatest woman in the world. 6. I love to roller skate. 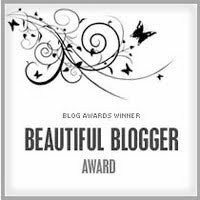 And the Beautiful Blogger award goes to: Angelica Glass (amazing work, great new blog), Jasmine Star, Bonnie Tsang, and last but not least one of my very favorite photographers Anna Kuperberg. Thanks to my fans. You really are the ones that make this site beautiful!